An experienced guide can help you reel in the right catch and offer tips and advice for how to make the most of your time on one of the lakes, rivers, or creeks in the Roanoke Region. From Virginia’s largest lake — Smith Mountain Lake — to the second largest municipal park in the United States — Carvins Cove — you are sure to find the perfect fishing hole. Let guide/owner Dale Byer take you on a fantastic fishing and whitewater experience – float fishing at its best. Big Pine Trout Farm is nestled in the mountains of Craig County, just 25 miles northwest of Roanoke. The stream is stocked with beautiful rainbow trout. Reservations are required. For the past 30 years, Blane Chocklett has lived his passion. He grew up fishing the small mountain streams in Virginia’s Blue Ridge Mountains, starting a guide service as a youngster. Join him for a trip on the river. All equipment and flies are provided. Anglers are welcome to bring their own equipment, if desired. Down River Outfitters offers guide services for fly fishing trips, artist floats, and scenic river tours. The experienced pros also offer fly fishing instruction. Owners Aaron Conover and Davis Stanley have a passion for rivers, fly fishing, and sharing it with others. They’ll help you get on the water in style with Boulder Drift Boats. Located in the Blue Ridge Mountains of Virginia, Escatawba Farms is cradled in the heart of the George Washington National Forest and offers a secluded fishing experience on Dunlap Creek, a freestone stream that ambles it’s way through two miles of wooded mountains and fenced pastures. For novice anglers and stillwater enthusiasts, Escatawba Farms boasts a one and a half-acre, spring-fed lake. Greasy Creek Outfitters is a family-owned fishing guide service that serves the New River Valley in Virginia and specializes in float trips fishing for smallmouth Bass, walley, muskie, and land-locked striper. 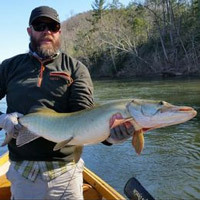 James River Outdoor Co. operates on the scenic James River between Lexington and Roanoke, VA. We offer professionally guided float trips on nearly 60 miles of the Upper James River in Botetourt and Rockbridge counties for both smallmouth and musky. In addition, we offer private, waterfront cabin rentals. New River Fly Fishing (the only guide service in the New River Valley specializing exclusively in fly fishing trips) is run by veteran fishing guide Mike Smith, a widely held authority on fly fishing the New River for smallmouth bass. 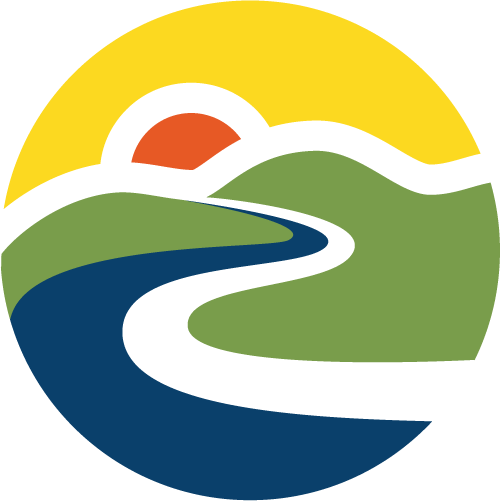 New River Outdoor Company provides canoe and kayak rentals, guided fishing, and cabin rentals on the New River. Located in Floyd, On The Water offers kayak and canoe rentals, as well as guided trips on the Little River. Potts Creek Outfitters offers private hunting and fishing packages on hundreds of acres of private land and stocked streams. Fly fishing gear is also available for rent. Your source for freshwater sportfishing in Virginia and North Carolina. Guided float trips for smallmouth, walleye, and musky. 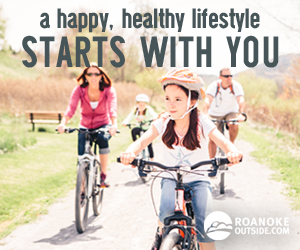 Experience the best of what the river has to offer. For over 12 years Virginia Outside has been helping kids develop a love for the outdoors through a variety of programs and camps. 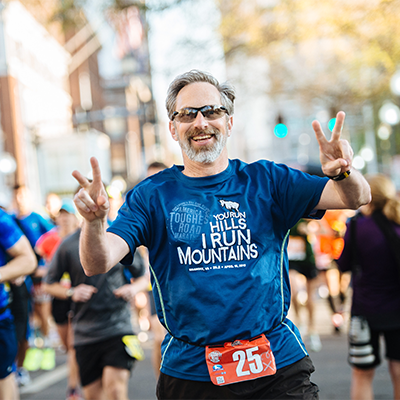 Based in Richmond, Virginia Outside runs programs in Northern Virginia, Fredericksburg, Deltaville, Charlottesville, Roanoke, as well as a variety of national and international student travel trips. Virginia Outside currently offers fishing day camps in Roanoke in partnership with the North Cross and Roanoke Catholic summer camp programs. Please see website for details. Wesley Hodges Fly Fishing offers guided tours for first-timers to experienced fly fishers. Go out with avid professionals that are ready to share a new adventure with you on the New River or almost anywhere you would like to fish. Wesley Hodges Fly Fishing also offers fly fishing schools, corporate trips, and standard guided trips on private waters. Captain Bert’s Fishin’ Charters offers a full guide service that takes you fishing for the “ultimate” striped bass on beautiful Smith Mountain Lake. The lake reigns as Virginia’s top freshwater striped bass fishery and holds a lake record of 49.4 lbs. Capt. Daniel Berthiaume holds a U.S. Coast Guard License and is fully insured. Fish off a 22 ft. deck boat that accommodates parties of up to six people. Captain Danny Dudley is a full-time striper guide on Smith Mountain Lake. All fishing gear is provided. All fish are filleted and packaged at the end of every trip. Kenny Short fishes the professional Gold Cup tournament trail with the National Striped Bass Association. Kenny and his team “Team Polar,” won the NSBA’s Team of the Year in 2006. He guides charters on Smith Mountain Lake year round. PointRunner’s Striper Guide Service is a high pace, high intense, striper fishing operation that specializes in live bait fishing for Smith Mountain Lake’s most aggressive big game fish — the striper. Captain Wendell at Pullin’ Drag is a fishing guide with more than 17 years experience serving Smith Mountain Lake. Rods and reels, bait, gas, and oil are included in the captain’s trip pricing. The team at Spike’s Prime Time Fishin’ have been full-time resident guides since 1988 and are U.S. Coast Guard licensed. Two completely equipped 22ft. deck boats make up the fleet and accommodate parties of up to six each, using live bait and artificial lure techniques. All equipment is provided, along with pictures of the day’s catch, and your fish prepared and packaged for take-home.